Cuban cuisine is a fusion of Spanish, African, and Caribbean cuisines. The Cuban style of cooking is simple in theory but complex in essence. Cuban cuisine has almost nothing in common with Mexican cuisine, which is a surprise for scores of visitors from the United States or Europe. Rather than being spicy as many people mistakenly assume, Cuban cuisine is extraordinarily flavorful. Traditional Cuban food is sauteed or slow-cooked over a low flame. Very little is deep-fried and there are no heavy or creamy sauces. Authentic Cuban cuisine is cintingent upon a handful of fundamental seasonings, and several dishes use a sofrito, which is what gives the food it’s zest. Meats and poultry are typically marinated in citris juices and then roasted over low heat. Familiar staples to the Cuban diet are root vegetables such as yuca, malanga, and boniato. These root vegetables are savored with marinade, called mojo. 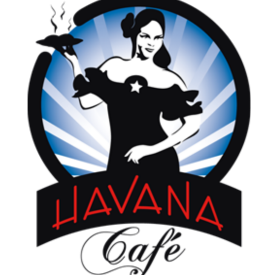 Here at Havana Cafe, we pride ourselves in the traditional Cuban cooking, which is primarily peasant cuisine that has little concern with measurements, order and timing. However, one thing is for sure, it will always yield the most flavorsome and succulent one can consume. Come by our North Attleboro restaurant and try a traditional Cuban lunch and dinner.